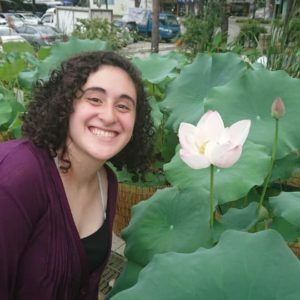 We are proud to announce that Ariella Napoli, an undergraduate major in the Department of Asian and Middle Eastern Cultures at Barnard College, has received the 2019 Marianna McJimsey Student Paper Award in recognition of her paper “Plurality within Singularity: Choson Korea’s Neo-Confucian Framework.” This award is given to one undergraduate student each year by ASIANetwork, a consortium of over 170 North American colleges that seek to strengthen the role of Asian studies in the liberal arts. Napoli will present her paper at the 2019 ASIANetwork Annual Conference at the University of San Diego in California this April. Her paper will also be published in ASIANetwork Exchange: A Journal for Asian Studies in the Liberal Arts. The department extends its heartiest congratulations to Napoli and looks forward to her future contributions to the field of Korean studies as she begins an already promising career.